We're in the process of fixing up and moving into our first home and I'm thinking a lot about the Master bedroom. We've lived in really tight spaces for so long and now that we have a lot more room to work with, I'm determined to keep it as clean and calm and uncluttered as possible (wish me luck!). 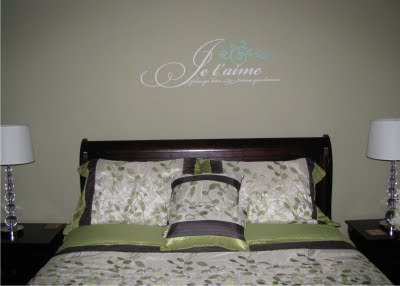 But I've also been thinking about what to put on our walls ('cause you know, that's what we do) and I've been sifting through some of our best customer photos featuring bedrooms and thought I'd share a few great ideas to steal/adapt for your own restful sleeping space. You can always try one of headboards - super easy to apply and absolutely no footprint so if space is tight, but you still want a dramatic effect above the bed, try one of our vinyl headboards. 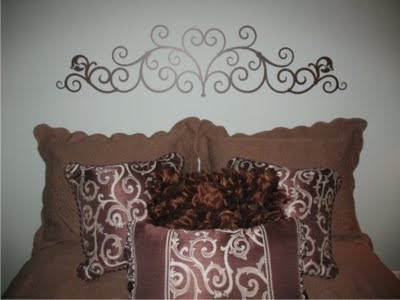 There are several styles to choose from (monogram, modern, scroll, floral and wrought iron). You'll be glad you did. 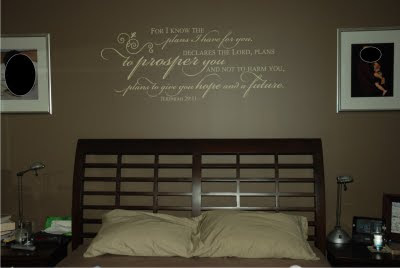 And of course, one of our predesigned wall quotes always goes well over the bed. 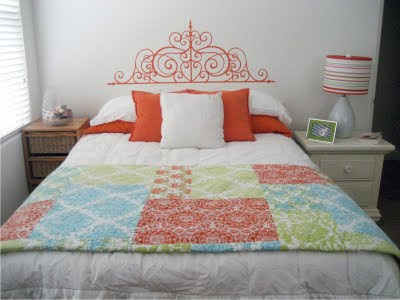 Choose a larger size (remember to consider the size of your mattress and shoot for 12"-18" smaller than that to achieve a nice eye-drawing focal point). 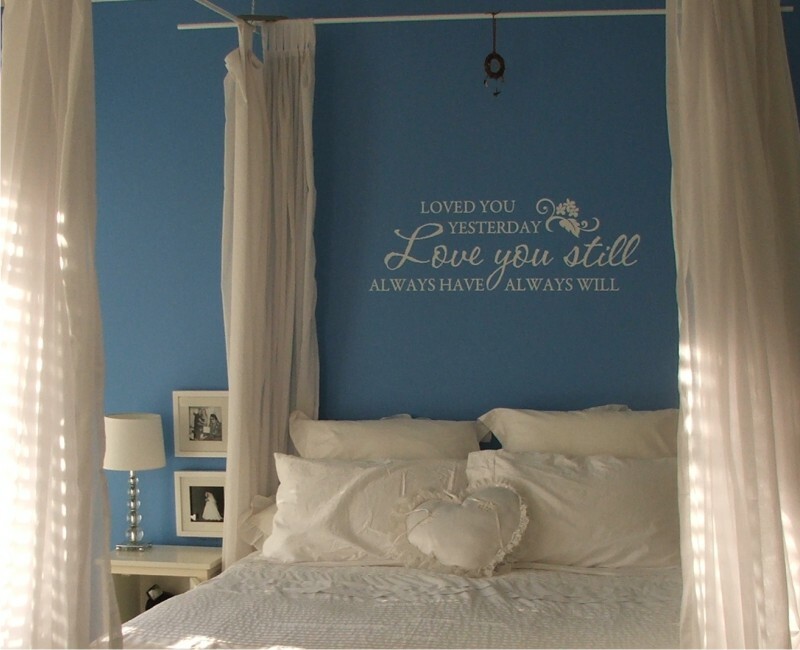 Also - it doesn't have to be from our Bedroom Wall Quotes collection, either. 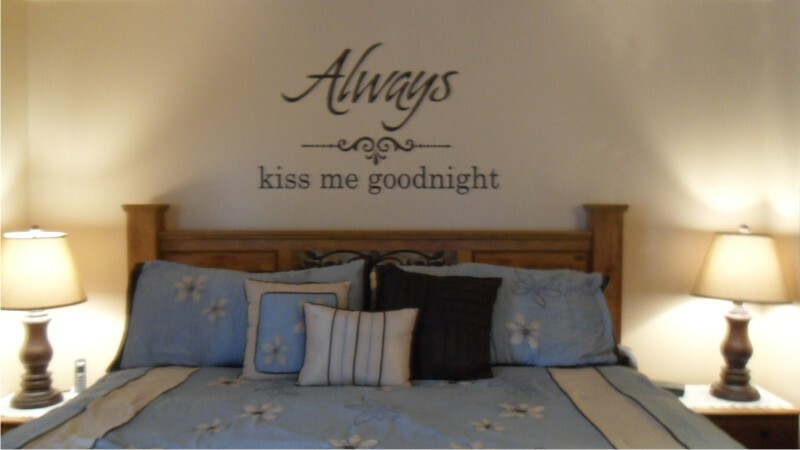 Quotes from almost any of our vinyl wall quotes collections will make lovely sentiments for your bedroom walls. Of course - if you want something really special, you can always design your own wall quote! 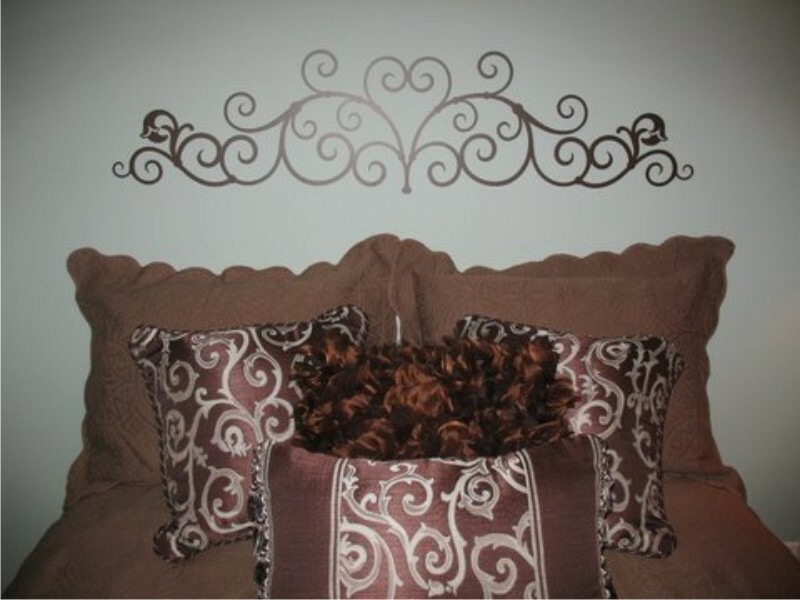 If you have a favorite quote or phrase or an idea you want to make into a wall design - we're happy to help and it'll add serious character to your space. 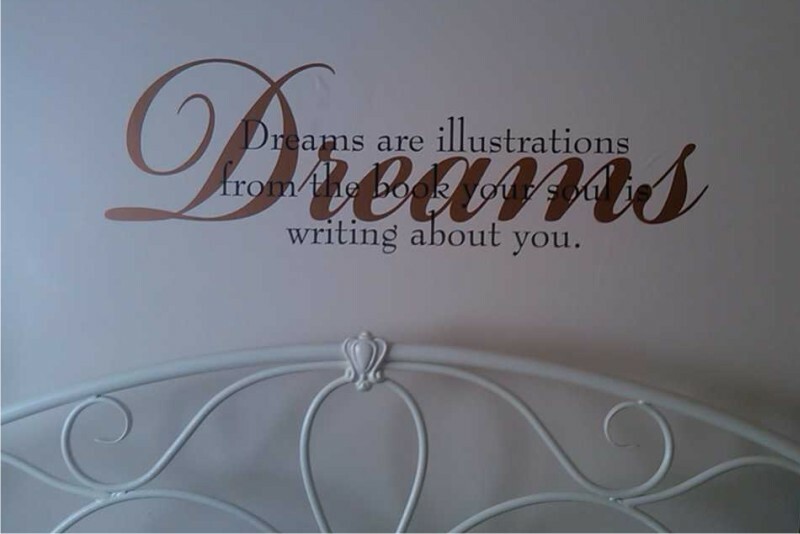 There are so many ways to use vinyl wall quotes or vinyl wall art in your bedroom. So let loose, do a little sprucing up and cleaning out then add a design to the wall that reflects your personality and highlights that clean, calm bedroom makeover.